Are you in desperate need of a reliable Plumber, Drainage or Heating Engineer? Whatever your problem, 1st Clear Flow Limited can be there to help you in Worthing, whenever you need us. Our qualified, friendly plumbers work in and around Worthing to provide a wide variety of drainage and plumbing services. 1st Clear Flow Limited work with people in the industrial, commercial, and domestic sectors. No job is too big or small for us! Plumbing problems can be a nightmare for you, whether they are affecting your home life or business. That’s why we aim to get everything back up and running again as soon as we can. We’ll let you know exactly what we need to do so you can give us the go ahead to get you back on track. Do you have blocked drains? an overflowing drain? a blocked sink? Maybe you need your heating maintained or your water mains checked over. Whatever it is, we can come and get things done in the most efficient way possible. We’ll ensure minimum interruption to your day to day life, and get things done as quickly as we can. We are well equipped to assist you with all of your drainage, groundworks, and heating requirements. Our groundworks team in Worthing can cover a variety of services. They can help with sewer connections, crossovers, drain linings, and site clearance. The team can even offer services like graffiti cleaning and gutter clearing. We can also discuss any drainage, heating, and plumbing related enquiries. Our engineers are also fully qualified gas safe, so 1st Clear Flow Limited can also offer a boiler service contract. We even do the simple stuff, like replacing tap washers. Any of our services can be done on an ad-hoc basis or as part of an ongoing maintenance agreement. 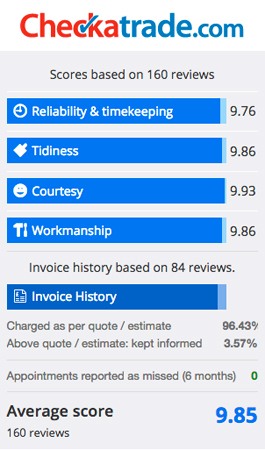 Because of the quality work we do and the level of customer service 1st Clear Flow Limited offer our clients, our reputation in the Worthing area is second to none. We offer a top notch service with reasonable pricing, and you know you can rely on us. 1st Clear Flow Limited is currently working with nine local and county councils within Sussex, 5 NHS trusts, universities, and private dwellings. Our staff are highly trained and have the experience and equipment necessary to help you. All of our staff are thoroughly vetted so you never have to worry about getting the right person for the job. Call us to discuss your needs in the Worthing area today, and we can arrange a bespoke service plan for you. We’re happy to help you with a one off job or to come up with an ongoing arrangement to suit. Make sure you contact the experts: 1st Clear Flow Limited. We’re ready to help with any job, big or small, in the Worthing area. Call now on 01903 212392 (drainage & groundworks) or 01903 238812 (plumbing & heating)! Attend site to investigate blocked drain. Blockage cleared using mech clean. Drain blocked with fat, leaves, silt and bits of food. Tested for positive flow into drain. Draining freely. Area cleaned. – Hamilton Close, Worthing. Attend site to investigate a leak in the front of shop. Leak caused by down pipe from flat roof being blocked. Water then accumulated and seeped through. Downpipe cleaned of blockage and water removed from roof. Downpipe running freely. Area cleaned. – South Street, Worthing. Attended site to investigate blockage. Unblocked by high pressure water jet line. Tested for positive flow. All running clear. – Hospital, Worthing. Attended site to investigate possible problems with drainage or plumbing as getting damp and wet patches. All drains checked, all clear and flowing freely. Gully that drains bathroom water blocked, mech clean used, all clear. Bath draining slow, mech clean used to clear, draining as should. – Rackham Road, Worthing. Attended site to investigate blocked toilet. Toilet already removed, stackpipe full. High pressure water jet used to unblock blockage, blocked with wet wipes. Large amounts of gravel and pieces of clay pipe were extracted from drain pipe. All runs freely, tested for positive flow using drain dye. Area cleaned. – Offington Drive, Worthing. Attended site to investigate blocked toilet. Blockage cleared using mech clean. Unknown what caused blockage. Tested for positive flow, flowing freely. Area cleaned. – Yeoman Road, Worthing.